Kessel Run IV was a thing! 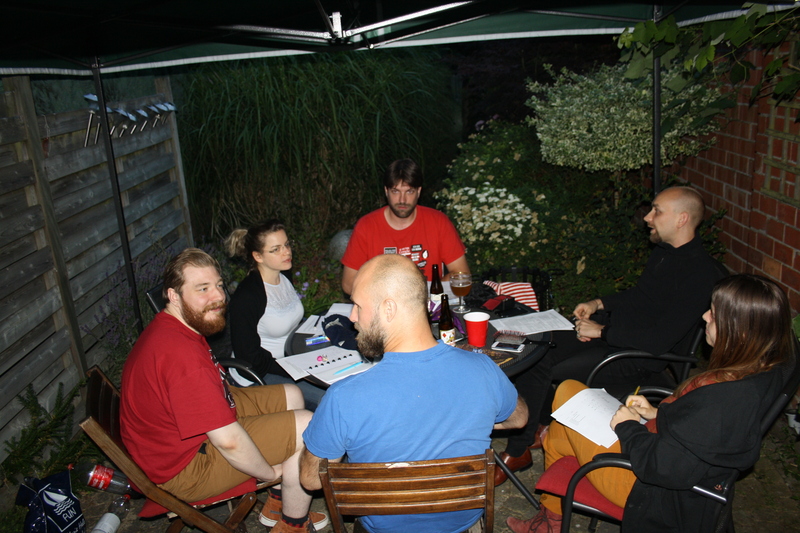 About 21 people came to play among which five people new to Kessel Run, two (re-)starting players, two GM’s who had never run at KR and five nationalities. Eiko ran The Adventure of the Missing Man, a definitely-not-cthulhu investigative mystery set in 1921, Portland, Maine. Meanwhile, in the attic we were playing Devestation: Compass. We played a British tank crew in Africa in WWII. 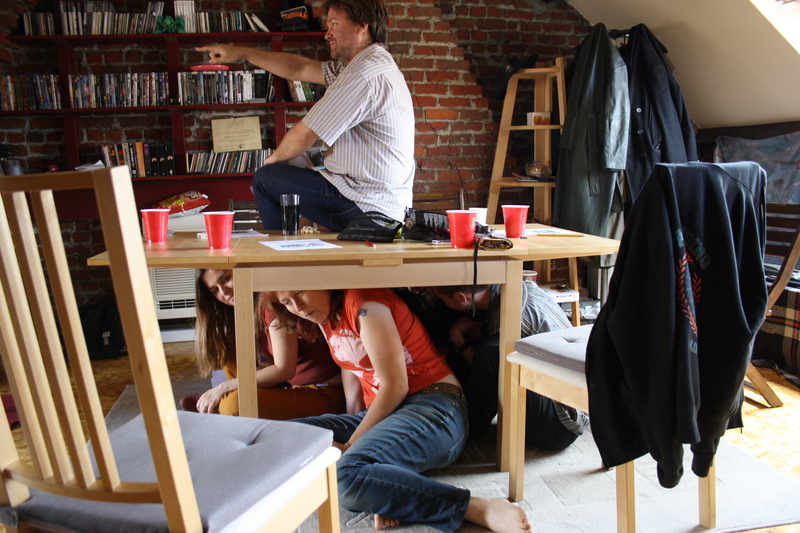 To simulate the true tank experience, we played the first part of the game under the table. It was uncomfortable, sweaty and cramped. Everyone knocked their head about five times a minute. We all instantly disliked the Commandant for getting to ride on the top of the tent. Mood totally set! Fairly soon our tank drive into a different world and we ended up having to settle disputes between Viziers and Emirs, wooing exotic women and battling great Sandworms (all while still capturing Nazi’s). Good guys win! 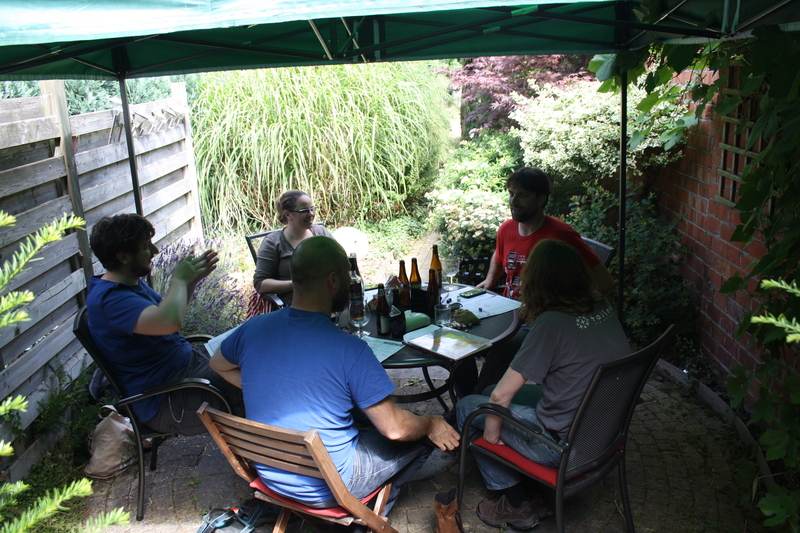 Summer meant we could run an extra table in our freshly pimped square (Tent, firebasket, lights, oh yeah…) in the garden. Erno ran Cyberpunk 2020 there. Meanwhile, unpictured, Elina was running Ribbon Drive in the computer room. It’s a game about road trips and music is a large part of the game. It sounds awesome! In the evening, Richard ran a much liked game of Victoriana. 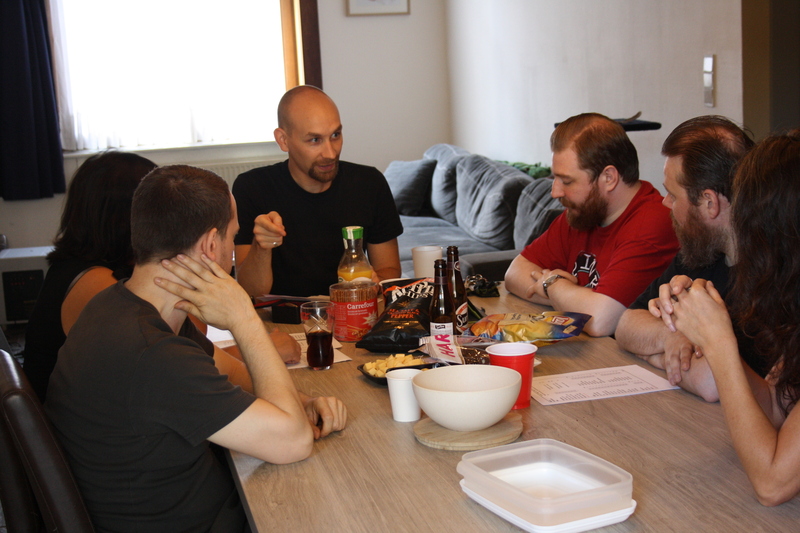 They were talking about getting together as a group outside of Kessel Run to play a second session. Sweet! Unpicutured in the computer room, Bavo ran Unhallowed Metropolis, a Victorian setting with Zombies. People tend to disappear into the computer room, close the door and not come out again until much, much later, so I have no idea what happened there! 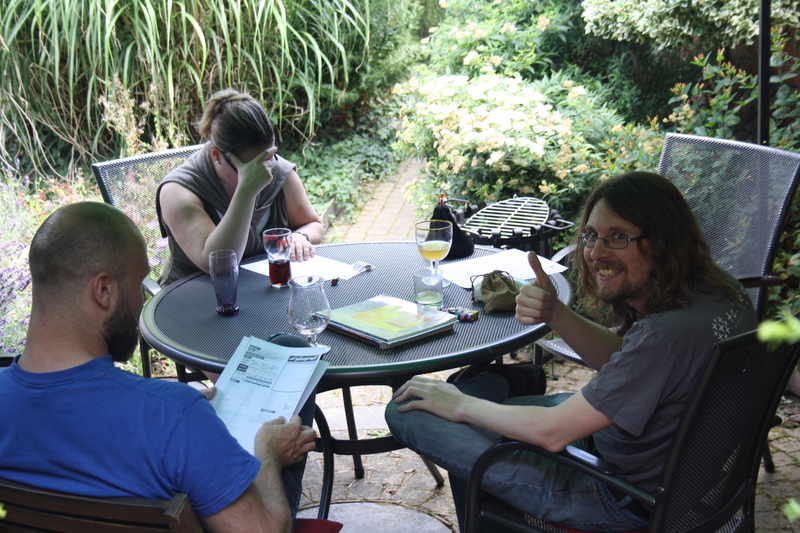 Meanwhile, in the garden Jan was running a game of The Strange. 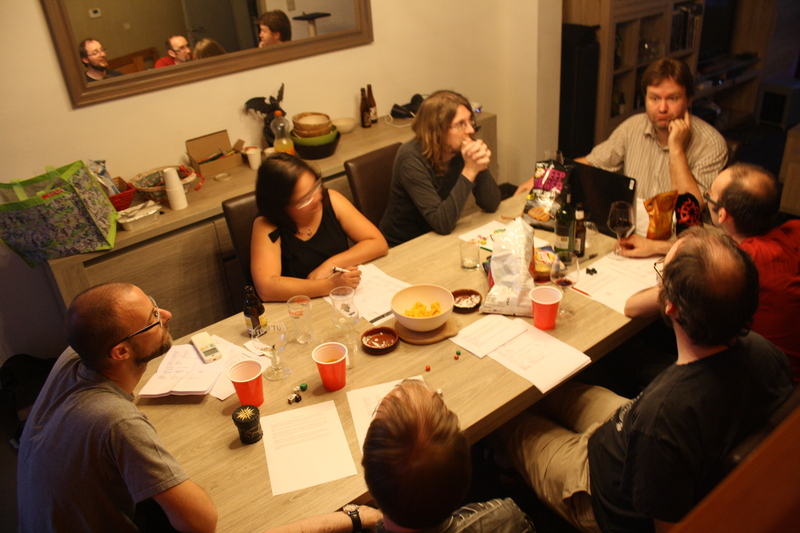 A mission-based rpg that has squads go into bizarre alternate realities to fix things there. It’s a reworking of Numenera (and most people consider it to be the bettter game). 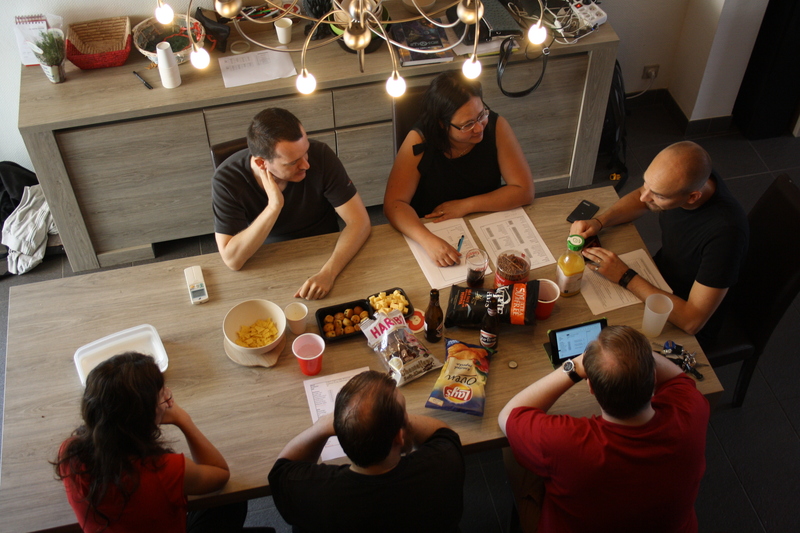 It ran very late because people kept having fun all over the scenario. In the attic, I ran Damned Love, a lovely American freeform with potential to be quite twisted. Oh, and it was! I knew the game would probably be be short and heavy, so I followed up with a nice lighthearted game of Dread. 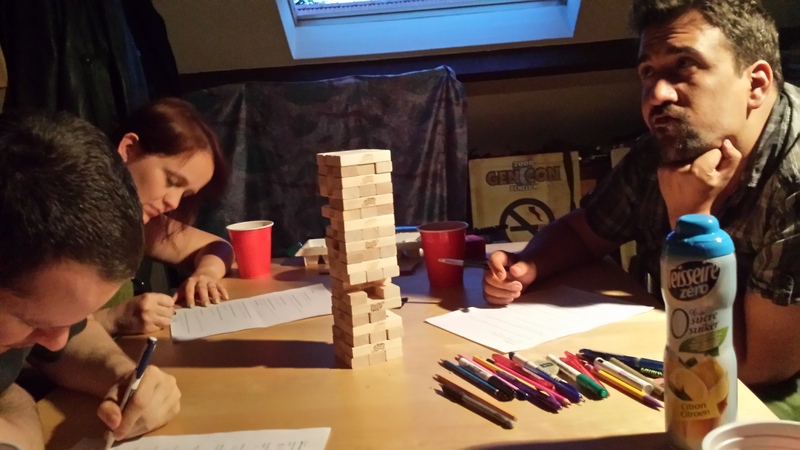 Dread is a horror game where you pull jenga blocks from a tower whenever you have to make a skill check. If a player causes the tower to fall, that character dies. It’s a wonderfully scary system for horror and slasher RPGs The horror in our game was Actual Cannibal Shia Lebeouf. And that was that! People stuck around, happily chatting about games until 4 am.